In practice, it does not matter if your Ethernet cables are wired as T568A or T568B, just so long as both ends follow the same wiring format. 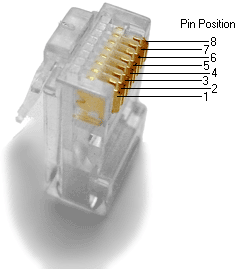 Typical commercially available "pre-wired" cables can follow either format depending on who made them. What this means is that you may discover that one manufacturer's cables are wired one way and another's the other way, yet both are "correct" and will work. In either case, T568A or T568B, a normal (un-crossed) cable will have both ends wired according to the layout in the Connection 1 column. This page was last edited on 14 November 2017, at 19:55.